COBA moved into Fleckney’s Churchill Way industrial estate back in 1989, and has become a much recognised feature of the village since then. Many employees both live and work in Fleckney, helping COBA integrate with the community. Fleckney’s Spinney, located at the North East corner of the Recreation Ground, is familiar to most villagers young an old. It’s the place you go to build your first den in the summer holidays, and the well trodden path of most dog owners. In recent years however it has become somewhat overgrown with certain areas even made inaccessible through neglect. 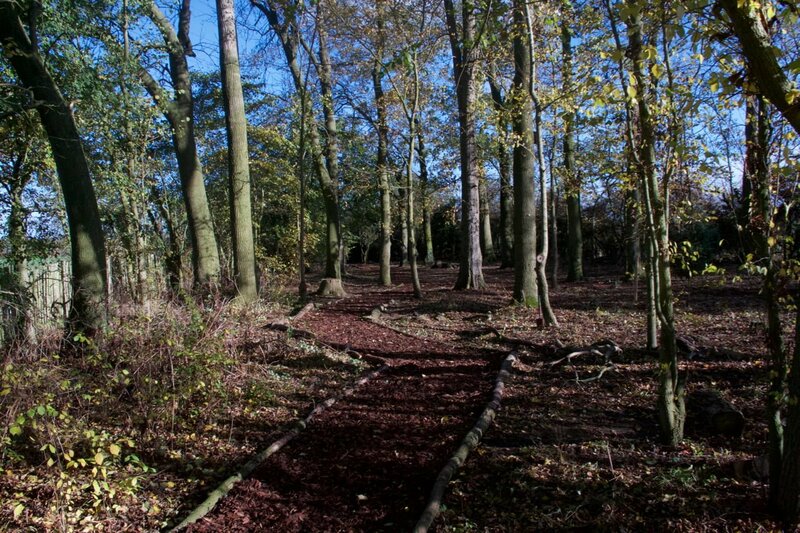 Litter had also started to amass around the paths and in the undergrowth. The Parish Council and Fleckney Sports Centre administration have striven to keep things in order, relaying existing paths in previous years as well as maintaining its appearance with limited resources. However, it had become clear that the whole site could do with a renovation, and this would require more than a few hands on deck. This aspiration to help evolved out of our core corporate values and our desire to ‘do well’ for the local community. As the largest employer in the area, we are committed to our Corporate and Social Responsibility Policy (CSR). We wanted to do something to make Fleckney even better for local families from a recreational and environmental perspective. Director of Quality, Gary Wyatt coordinated the initiative, along with the dedicated support of Ria Wilson, Assistant to the Directors. “We hope that this project is just the start of something much bigger, and part of a long term commitment from COBA to give something back to the local community that has been so hospitable over the years. 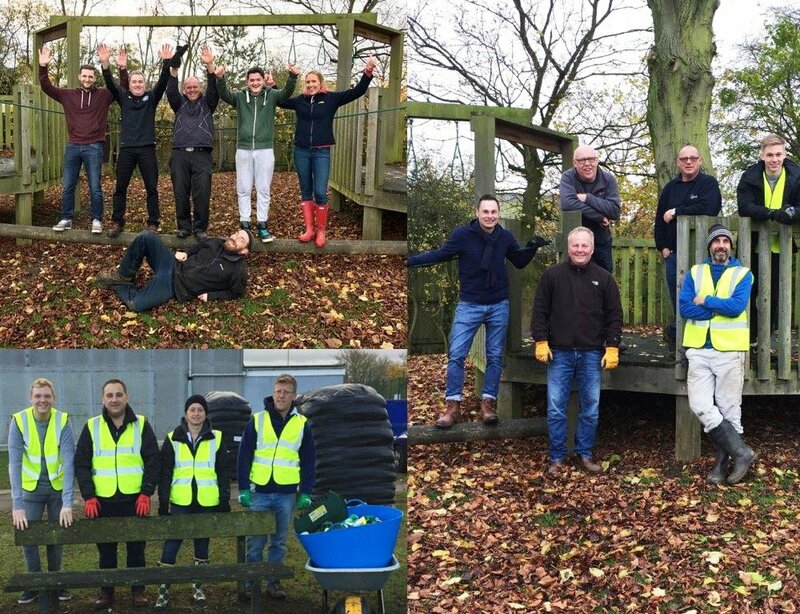 Corporate Social Responsibly isn’t just a buzzword, it means putting things into action, which is what we hope we are achieving through work on the Spinney.” said Gary. Our volunteers are from four development groups across the COBA business. Each group attends sessions, as part of their training and development programme, of which ‘volunteering in the community’ is just one such activity. Development group members were invited to support Phase 1 of the project in Fleckney from 9.30am to 3pm back in November. 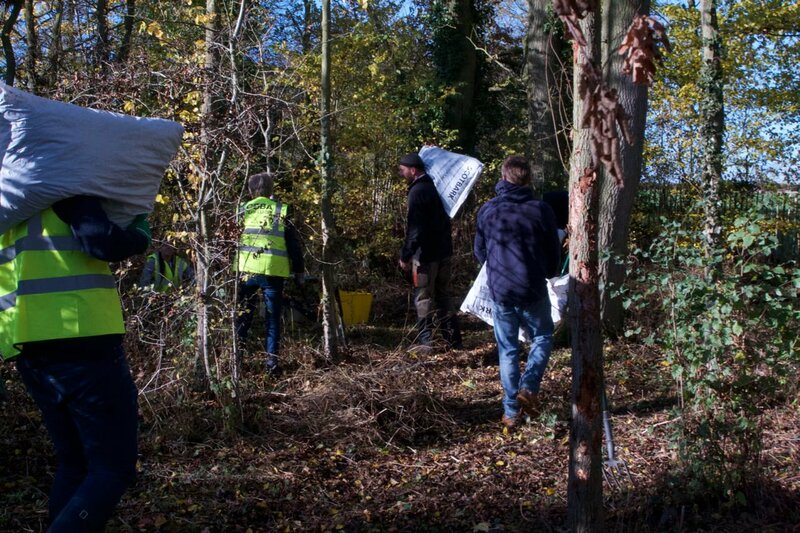 Initially the key aims were to clear uncontrolled growth, remove anything dangerous such as litter, metal and detritus, and reestablish existing paths as well as lay some new ones. The work is also preparation for Phase 2 in 2017 when planting and installation of equipment will take place this spring. From COBA Europe: Chris Stanley, Drew Mason and Arron McKie all took part throughout the week, enthusiastically contending the cold temperatures to get the job completed in time.